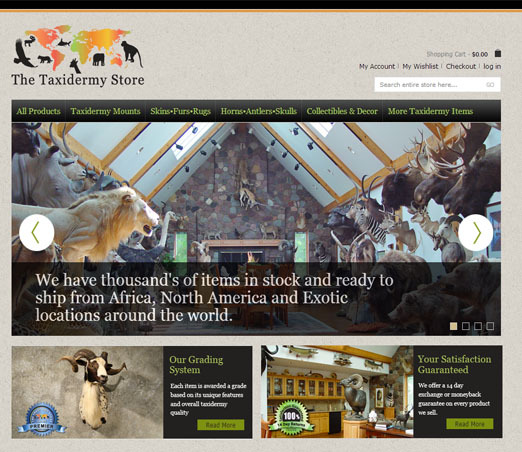 The Taxidermy Store has thousands of items in stock from Africa, North America and exotic locations around the world. Whether it's a single accent piece of taxidermy to help decorate your living space or big game animals for your trophy room or Business, The Taxidermy Store can help you find exactly what your looking for. The Taxidermy Store has a successful presence on eBay. But the ProStores site they created themselves was not performing. We collaborated with the owner to develop new site strategies and SEO strategies for Magento and to build on what was working for them on eBay. 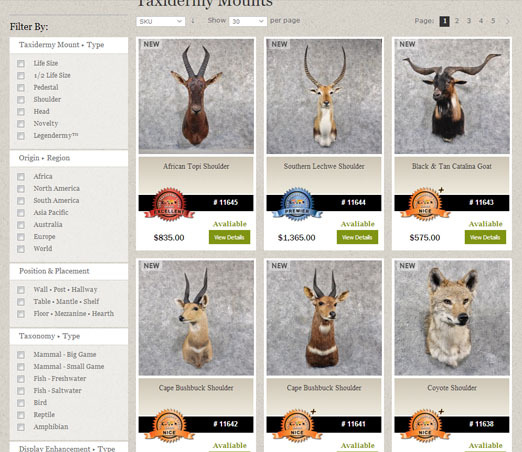 Since all the products are one-offs, we integrated the new Magento site inventory with their eBay listings so nobody could purchase a taxidermy mount that has already been sold.